Monday 18 March: Julia Day gave a talk entitled Continental vs. island evolution of a ‘great speciator’: resolving the Zosterops taxonomic conundrum. Different environments, such as islands and continents, have had profound effects on how biodiversity is shaped. While evolutionary processes are predicted to follow different patterns in island and mainland radiations, the extent to which these geographical contexts influence evolutionary trajectories remains poorly understood. This is in part because few studies have focused on species-rich groups of highly dispersive animals, which can colonise both continents and extensive archipelagos over comparable timeframes. 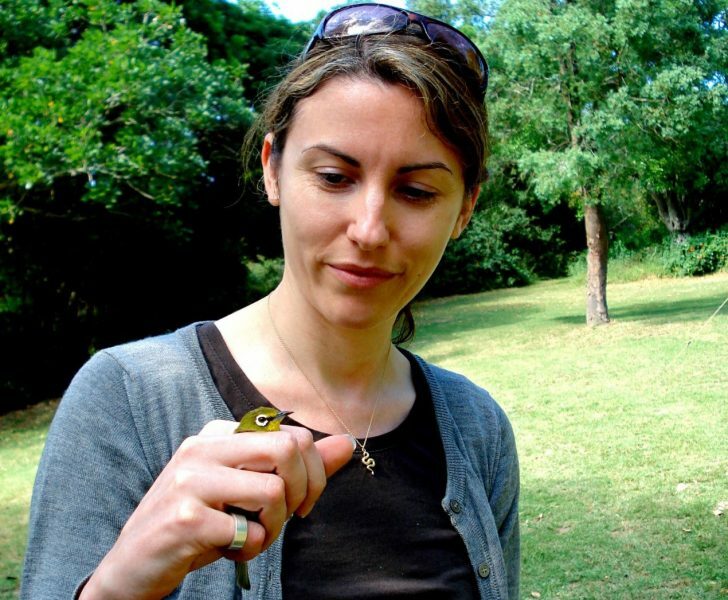 In this talk Julia focused on how resolving the evolutionary relationships of white-eyes (Zosterops)—lauded as a ‘great speciator’—in Africa, Arabia and associated islands, combined with morphological data, has allowed us to better understand evolutionary processes across these different geographic landscapes. Julia also discussed how museum collections and genetic data have aided in the task of deciphering the tricky and sometimes infuriating taxonomy of this highly cryptic group, leading to a likely substantial increase in mainland species. Julia Day is Associate Professor at University College London and has developed a research programme in evolutionary and, more recently, ecological research. She mainly works on species-rich groups of African fishes but, being a birder, couldn’t resist the challenge of working on a notoriously difficult-to-identify avian group. Sign up for the BOC email newsletter to receive the latest news, updates, and reminders of upcoming events. View the table of contents, selected abstracts, full text or PDFs of individual papers from the latest BOC Bulletin. View videos of talks presented by Dr Nigel Collar, Justin Jansen, Dr Bård Stokke, Dr Huw Lloyd, and Dr Joe Tobias at recent BOC regular meetings. British Ornithologists' Club © 2019.